For our EDA Inclusive this month, I thought we’d investigate the song “Emily,” one of the lesser known tracks from early in Jewel’s career. Written for the soundtrack to the motion picture The Crossing Guard, “Emily” initially surfaced as an extra track on a small run of Atlantic promotional CDs for the song “You Were Meant For Me” sent to radio stations in 1995. Often referred to as “Phyllis Barnabee Finally Gets A Bra” (a title sourced from Jewel’s artwork on the cover insert), this promo CD is difficult to find and remains highly collectible to the present day. The next relevant factor occurred six weeks later, when Jewel was featured as the musical guest on The Conan O’brien show - her first nationally broadcast television appearance on May 15, 1995. The American actor Sean Penn was watching that show and it prompted him to contact Jewel. Penn, who wrote, and at the time was directing an independent thriller called The Crossing Guard, pursued Jewel to write a song for the soundtrack. For those unfamiliar with this movie, it starred Jack Nicholson as Freddy Gale, a once devoted husband and father, deeply tormented by the death of his daughter Emily Gale, who had been killed by a drunk driver named John Booth (played by David Morse). Gale’s anguish eventually costs him his family, happiness, and morality as he seeks revenge by plotting to kill Booth upon his release from prison. Nor fruit to lay at the feet of Emily. Although a studio recording does exist, the recording that featured in the movie (and on all releases) was actually recorded live at WBCN FM radio studios in Boston, during a visit there in June of 1995. 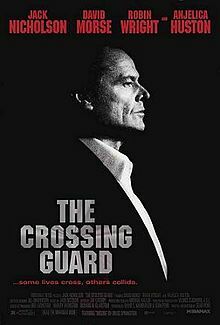 The Crossing Guard movie would open in theaters two months later in August of 1995. With all that background info fresh in your minds, lets move on to our EDA Inclusive! 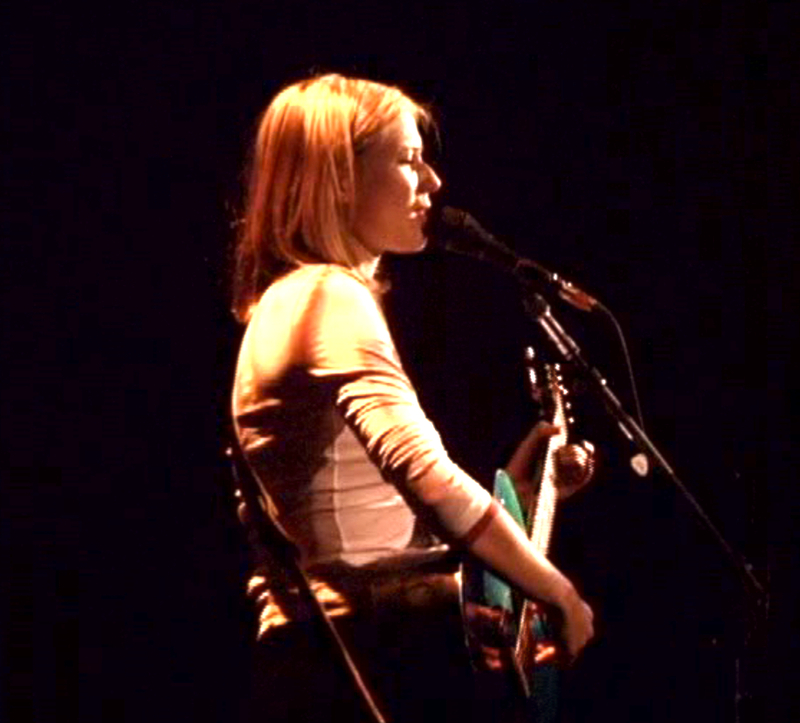 What we have for you this month is previously unseen footage of Jewel performing “Emily” live on the Tiny Lights Tour - 18 years ago. 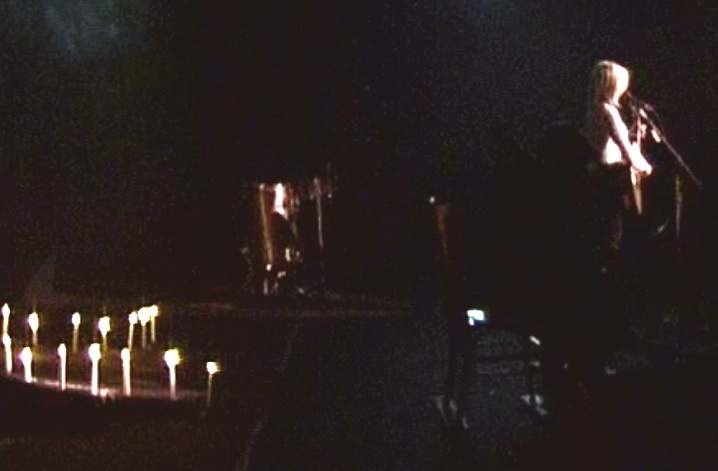 Shot by Bibi Bielat from stage right with a Hi8 camera , I recently discovered this footage while reshelling several damaged archive tapes that had never been played before. I found this performance to be emotionally engaging and one that I thought you would enjoy, despite the depressing nature of the song. The footage is untouched, but I significantly improved the original camera audio by replacing it with the soundboard recording. 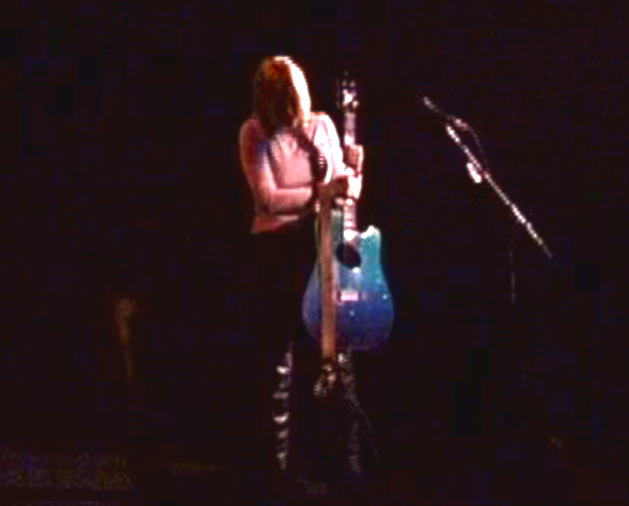 Recorded March 9, 1997, here is Jewel performing “Emily” live at The Tower Theater in Philadelphia.